Повече информация, може да бъде намерена на сайта на конференцията http://icaictsee-2013.unwe.bg/. Конференция организирана от катедра "Информационни технологии и комуникации" по случай 45-годишнината от създаването на катедрата - ICAICTEE 2012, International Conference on Application of Information and Communication Technology in Economy and Education.  The International Conference on Application of Information and Communication Technology in Economy and Education (ICAICTEE-2012) which will take place on October 4 – 5, 2012 at the University of National and World Economy (UNWE), Sofia, Bulgaria. The conference is organized by the Department of The conference aims at conducting analysis of the current problems of the ICT application in different areas of economy, education and related areas of scientific knowledge; outlining the existing possibilities for the application of modern ICT tools, methods, methodologies and information systems in economy and education; discusing advanced and emerging research trends with a long-term importance in the field of ICT application in economy and education.Information Technologies and Communications at the Faculty of Applied Informatics and Statistics, UNWE. July 20, 2012 - Submission of papers. August 20, 2012 - Notification of acceptance. December 1, 2012 - Submission of final camera-ready versions. September 15, 2012 - Normal registration. October 4, 2012 -Late registration.